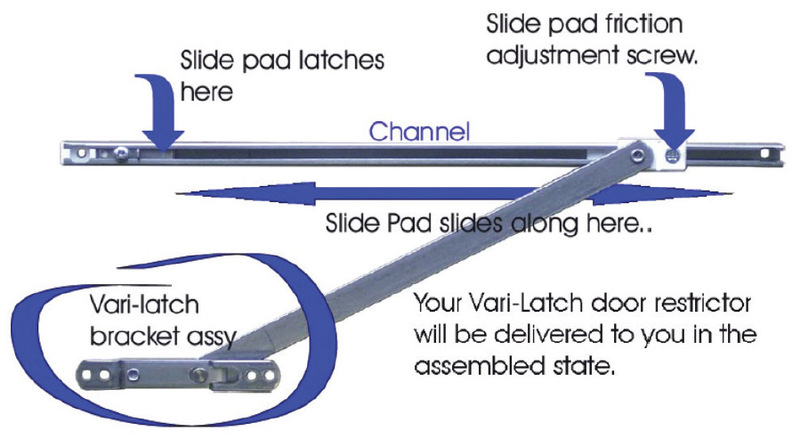 Vari-latch made in the UK by - DGS Group Plc. Exclusively made by DGS in the UK. Connecting arm 3mm thick for extra strength. Variable latching mechanism controlling closing force required. 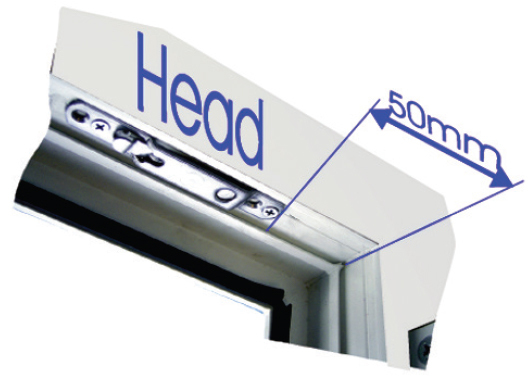 Opening parameters of less than 90 degrees up to 120 degrees on standard doors. All high grade stainless steel on track and arms (type 430 Steel). Simple and easily operated disengagement. Extra frame fixing points for secure fixing. Detach the bracket assembly from the arm. Then position and fix the bracket on the underside of the door frame on the hinge side 50mm from the hinge corner and a minimum of 5mm from the front face. 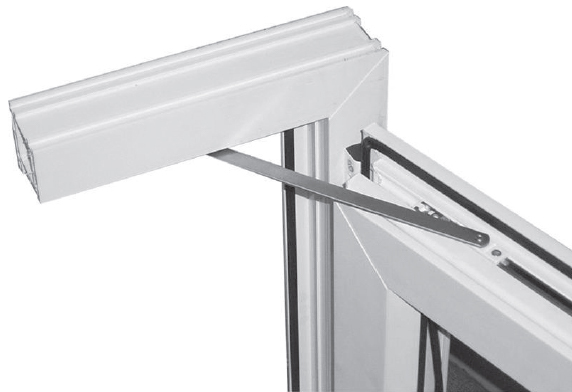 Ensure that the bracket release finger pad is away from the hinge corner. 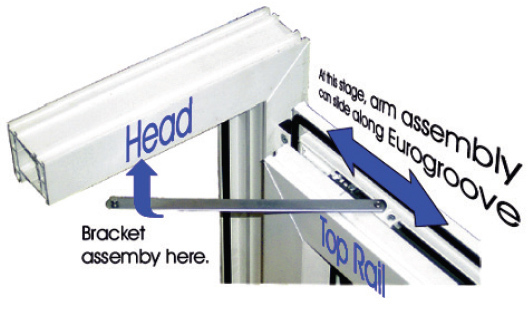 Locate the channel into door leaf Eurogroove on the top of the door with the Vari-Latch to hinge side. Reconnect the arm to the bracket assembly. 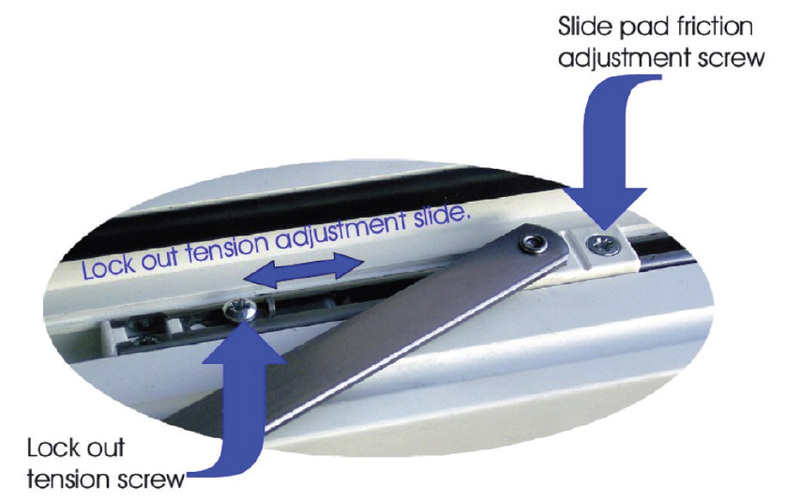 Ensure that the slide is in the locked position. 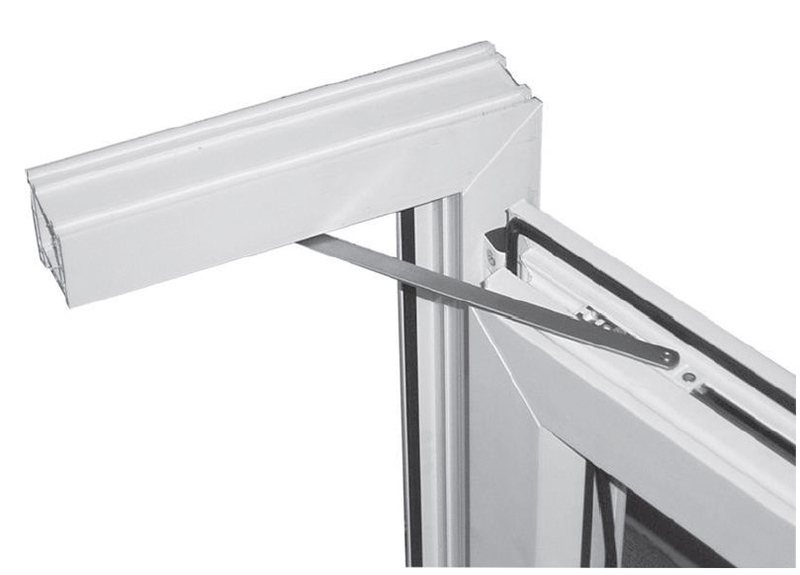 Open the door to the required maximum angle (channel will slide in the Eurogroove) and then fix the channel with screws, minimum diameter 4mm.